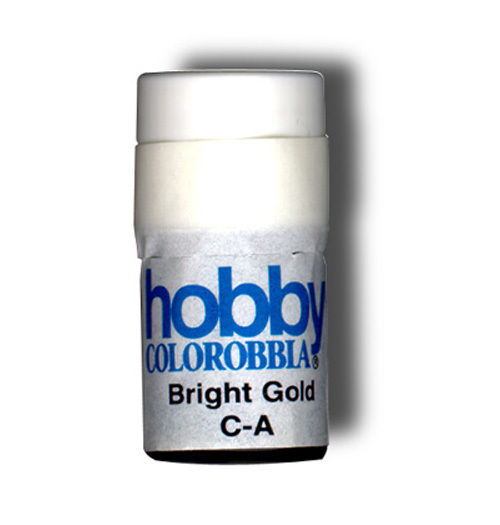 Colorobbia BRIGHT GOLD, GLASS GOLD and PLATINUM are easily applied with brush or pen. Do not apply where a grease pencil, carbon tracing, turpentine or finger has been applied. SURFACE MUST BE CLEAN AND DRY. Important Shipping Note: Government restrictions prevent shipping Hazardous Materials by AIR. In the contiguous U.S. they can still be shipped by Parcel Post or UPS Ground Service. Shipping by UPS Ground Service is also available to MOST areas of Canada. 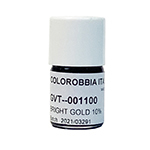 Colorobbia BRIGHT GOLD Contains 10-11% Gold by Weight. GLASS GOLD contains 10-16% Gold by Weight Producing A Fired Film Ranging from 18-23 Karats. Flammable. Restricted Shipping Applies. See Important Shipping Information Above. 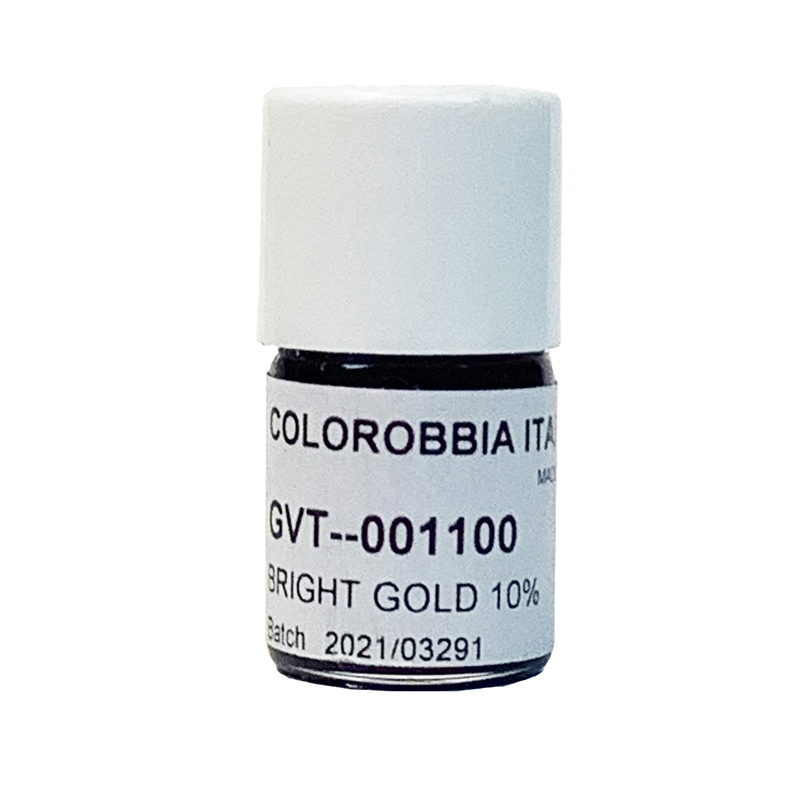 (White Gold) Overglaze for ceramics. 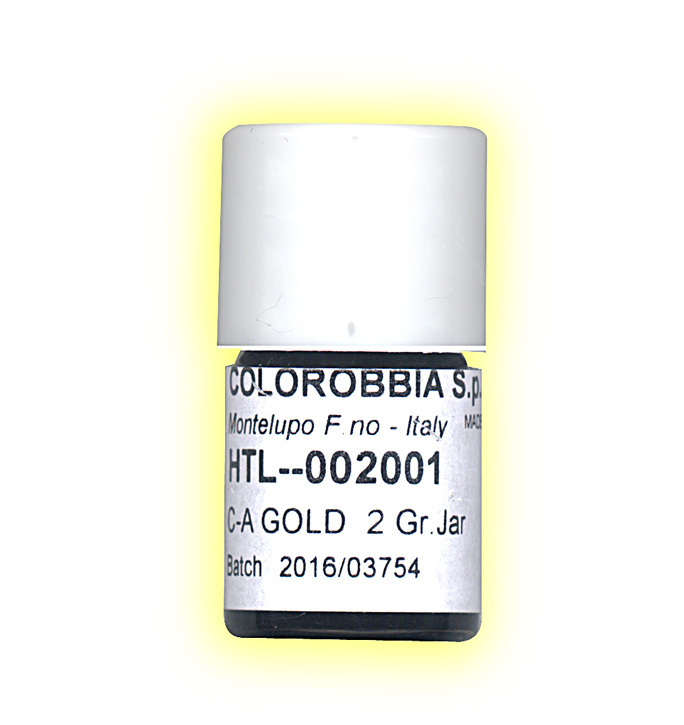 Colorobbia Glass Gold 2 gm.